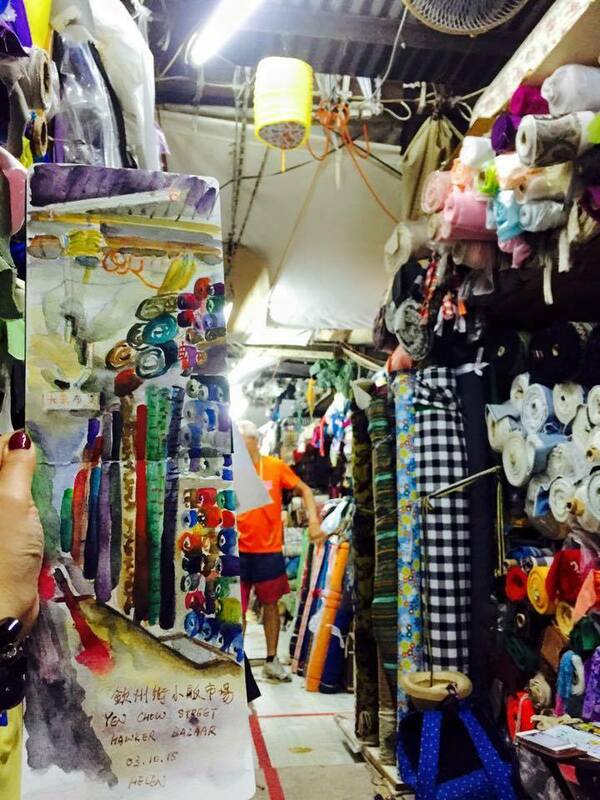 Yen Chow Street Fabric Market is not just a great place for buying fabric, it's also a tourist attraction in its own right! 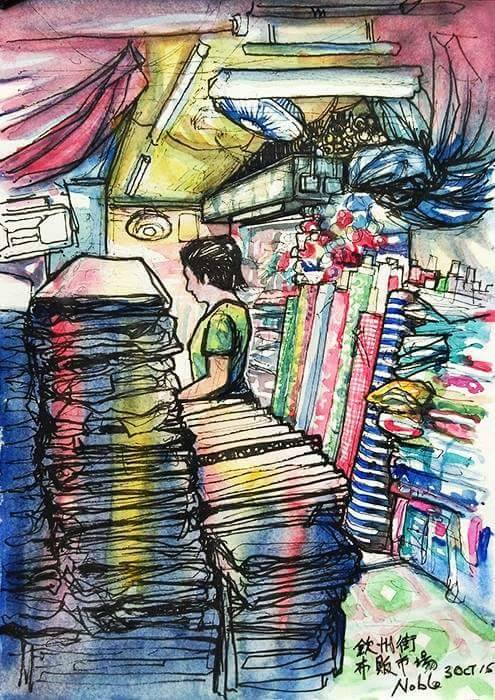 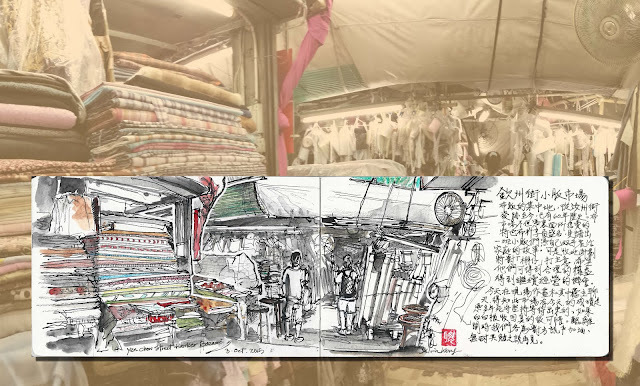 Rolls of fabric stacked up along the alleys, fluorescent lights hanging below flimsy tin roofs, walking inside the market is like being transported into another realm! 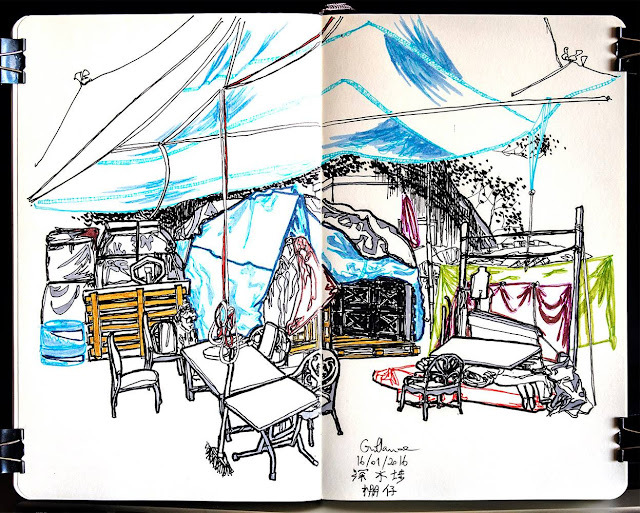 Would it be a wise move to demolish this gem for just a few blocks of residential high-rises? 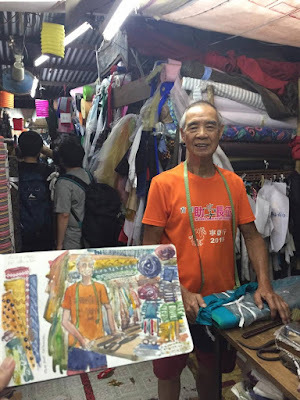 If it must be done, will there be a relocation plan to help these hawkers and at the same time make their new market an even better attraction similar to the very successful Yuen Po Street Bird Garden project? 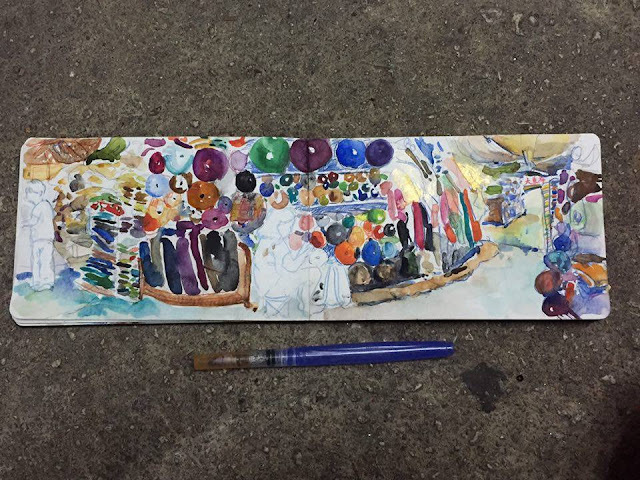 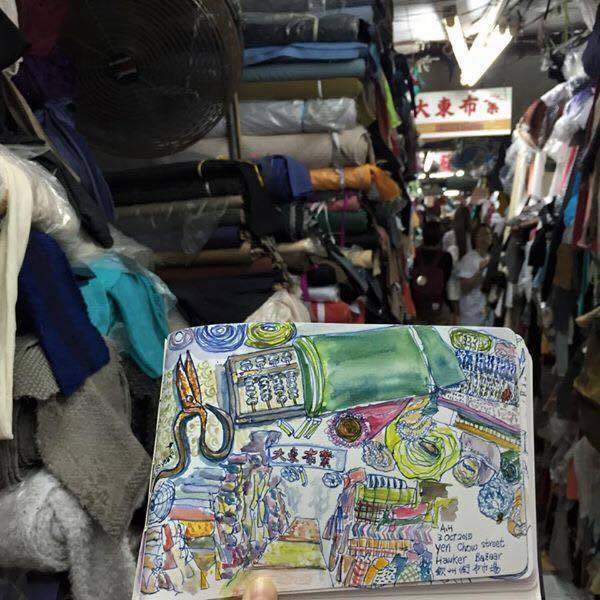 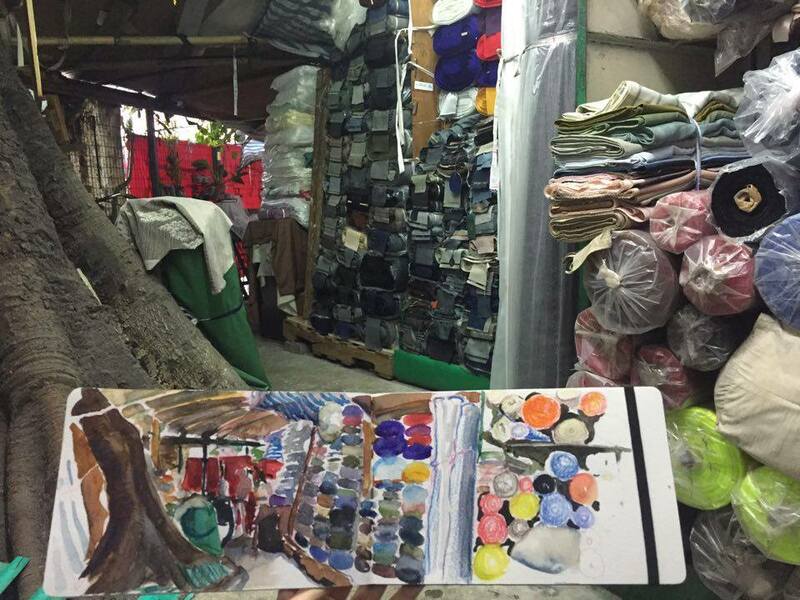 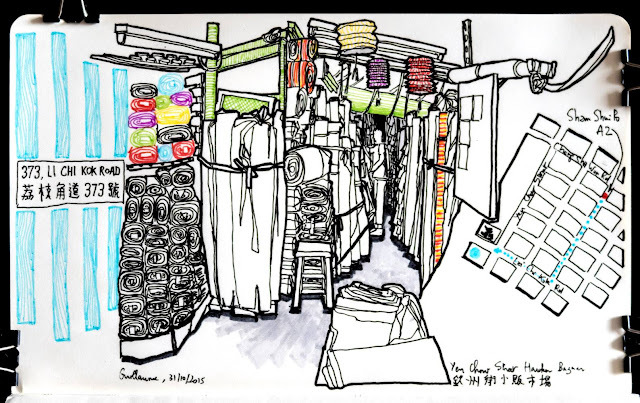 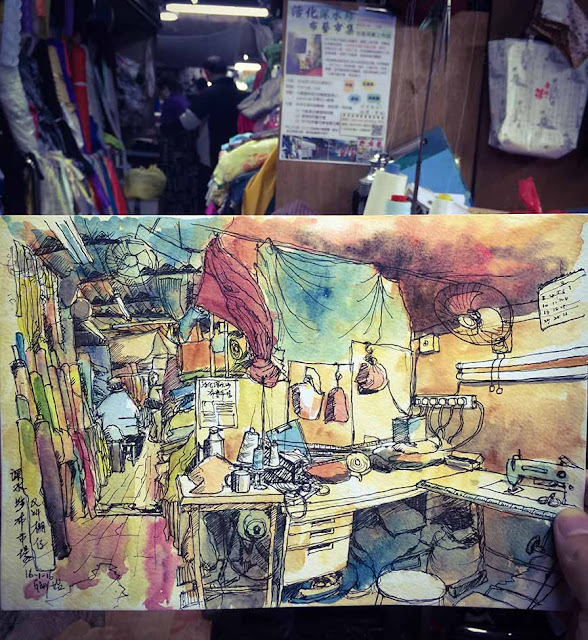 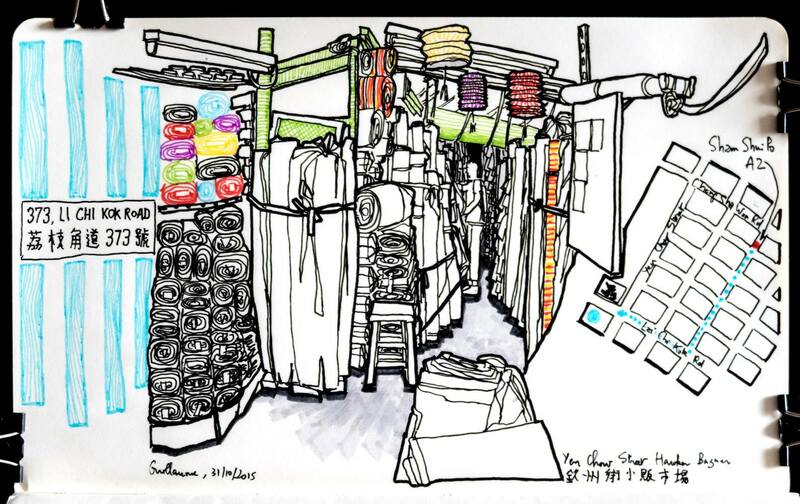 As the market is likely to close down soon for redevelopment, our sketchers hurried to visit this place and recorded the essence of this unique place with their sketching tools.